Texas Board Certified attorney and Texan native Dane Johnson has devoted his practice to defending citizens charged with DWI in and around Houston, Texas. Dane attended the University of Texas at Austin before receiving his Bachelor of Business Administration from the University of Houston in 1994. 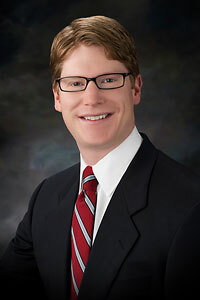 While most students require three years to complete law school, Dane graduated in just two and a half years from the University of Houston Law Center in 1996. Dane began his career with the Galveston County District Attorney’s office and quickly was promoted to chief prosecutor. During his two years at the office, Dane tried more jury trials than anyone else in the office and was regarded as a rising star in the office. He took on the responsibility of training and developing new lawyers that joined the office. Due to his trial skills and reputation, Dane was hired away from the district attorney’s office by a prestigious Houston criminal defense firm. Although he handled almost every type of case, Dane was responsible for the majority of the firm’s DWI / DUI and other alcohol related cases. He honed his DWI trial skills by attending seminars, continuing education classes and by trying DWI cases. In 2004, Dane became one of the youngest lawyers in the Texas to become Board Certified in Criminal Law by the Texas Board of Legal Specialization. Shortly thereafter, Dane opened his own criminal defense firm with a focus on defending those charged with DWI. He has tried over 200 jury trial to verdict, most of which have been DWI trials. Dane is a Founding Member of the DUI Defense Lawyers Association. In addition, Dane is a member of the American Chemical Society, the National College for DUI Defense, the Texas Criminal Defense Lawyers Association (TCDLA), the State Bar of Texas – Criminal Law, the Harris County Criminal Lawyers Association (HCCLA), and the Houston Bar Association – Criminal Section. Dane has been recognized as a “Texas Super Lawyer” by Thomson Reuters (2011-2015) and he has been selected by Houston’s H-Texas Magazine (2009-2015) as one of Houston’s Top DWI/DUI Lawyers and as one of Houston’s Top Criminal Lawyers. In addition, Dane is frequently contacted by news organizations for his views on current DWI related issues.